Meg- Excellent review! 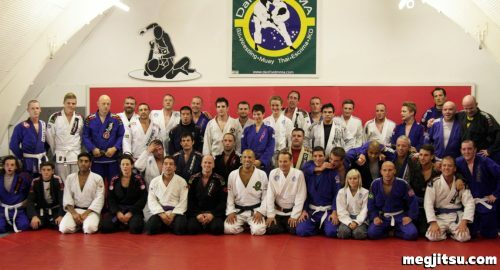 I had the opportunity to take a seminar with Royce two years ago and I was impressed with his professional and humble demeanor in the face of a bunch of us star struck students. He is truly a treasure trove of information and skill. PS- My new hair tie system is working beautifully, I will try to get a photo to you this weekend. Hi Dag, thanks for your comment! Indeed, he’s a veteran and knows how to do his thing! Looking forward to seeing your hair tie pic! Meg, any chance of a refund on that tshirt you sold me, a large looks like a crop top on me, must have put on some timber, put in a word with royce for me? Royce was a great sport on the interview I did with him a couple months ago. He very smoothly slipped past any questions I had about his negotiations with PRIDE and effortlessly provided some funny one-liners at every opportunity. Consummate professional and very good at keeping the family legacy strong. Hi Tree Frog, thanks for your thoughts! Indeed, he was forthright while diplomatic when asked about the Combatives programme. A real class act. Where can we read your interview?! Royce is a legend. Great write up. Reading your review makes me wish I had been there! What a great opportunity. I honestly had never thought about how much traveling masters like Royce Gracie and others have to do. But I guess if you love what you’re doing, it makes it all worth it! Thanks for your comment, Allie, would be amazing to have you at my club, some day! Royce is a class act and would recommend his seminars. Kyoshi Haughton! So wonderful to hear from you. Thank you for reading and commenting. Indeed, the journey I began with you all those years ago, continues to enrich my life; though the arts I study have changed over time, martial arts remains a central feature of my life. 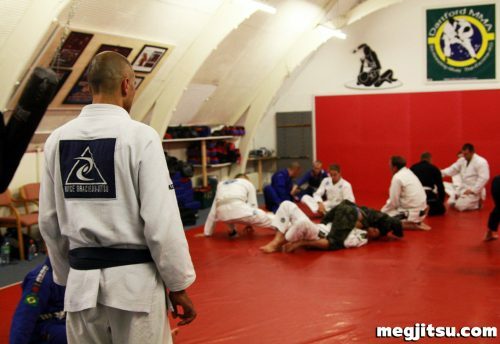 BJJ has become more and more my focus for the last 6-7 years and I love it, passionately. I hope you are well, happy and healthy and continuing to spread the joy of training.